We’re sorry to hear about your blown head gasket. It can be frustrating news to get from your mechanic and immediately you start thinking through your options. Before you start thinking through your options you may want to make sure you have a blown head gasket. The biggest symptom that people point to for blown head gaskets is that their car is regularly overheating, but overheating can be caused by a lot of different components not working or failing. Make sure your coolant level is topped off, your fans are working or coming on properly and your thermostat is opening at the correct temperature either by removing it or checking the temperature it opens at with an infrared thermometer. If you are seeing heavy white smoke that smells sweet coming from your tailpipe, you can see an external leak, or have had your coolant test positive for exhaust gases, you probably have a blown head gasket. Replacing a head gasket is not the easiest job for the weekend mechanic. For a vehicle with an overhead cam, you are looking at removing the timing belt or chain which in itself is a complicated job and requires the engine to be timed correctly when it’s put back together or it will not run properly. For all motors, it will require the removal of the intake and exhaust manifold which may contain frozen or stuck bolts, or at least a few “knuckle busters” that are difficult to get to just leaning over your engine bay. You’ll have to drain your coolant, likely change your oil afterward, buy new gaskets and probably a few new hoses that you’ve broken and depending on the make and model of your car a few other things will have to be removed as well. Once you get the heads off they likely will have to be sent off for machining since a blown head gaskets usually causes warping in the heads and possibly the block. If you’re up for the challenge of all that, then putting it back together, make sure you have the proper tools, take lots of pictures, label everything and make sure you have some time on your hands. Another option would be to replace your vehicle. 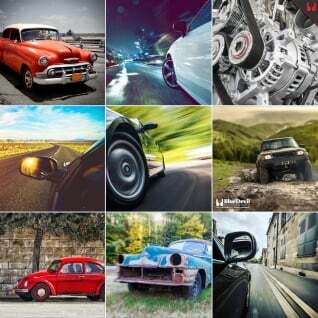 Depending on how old your car is, and what your plans are for a new car, this might be a good option. You may be able to sell your vehicle even with a blow head gasket as a “mechanic’s special” or trade it into a dealership that is willing to give you something for it. You won’t be able to get book value for your vehicle with a blown head gasket, but you might be surprised how much it is still worth. This may be a great start to dealing with your blown head gasket if you have another vehicle that you can drive in the meantime. The last option you may not have considered would be to try and seal your head gasket without replacing it or taking apart much of your engine. BlueDevil Head Gasket Sealer and BlueDevil Pour-N-Go are designed specifically to do just that. Use BlueDevil Pour-N-Go for smaller leaks, or 4 and 6 cylinder engines and use BlueDevil Head Gasket Sealer for larger leaks or for 8 cylinder engines or vehicles with large cooling capacities. BlueDevil Head Gasket Sealer takes the extra step of removing your thermostat while you are using it, but both products are simple to use. Simple add BlueDevil Head Gasket Sealer or Pour-N-Go to your cooling system and allow it to circulate. The temperature differential at the leak point in your head gasket will active BlueDevil Head Gasket Sealer and cause it to go from its liquid state to form a chemical weld sealing your head gasket leak permanently. BlueDevil Head Gasket Sealer is guaranteed to seal your head gasket leak! You can also purchase BlueDevil Head Gasket Sealer directly from BlueDevil. The recommended amount of the Head Gasket Sealer with the yellow label (32 oz.) will give you best overall results as long as you can remove the thermostat and flush the system prior to use. Be sure to follow the capacity chart so that the proper amount of BlueDevil is used. I have a Land Rover Discovery and I cab’t remove the themostat from the housing (It’s all one piece). I believe it’s a larger leak, and it’s a V8 so what do you suggest? The way you can get around the housing is by taking a old thermostat and modifying it so that the middle piece does not close; you may remove, or gut, the middle of the thermostat. By doing so you will create a free flow and still be able to have the full housing installed. Otherwise you can remove the housing and replace it with PVC piping as a fitting so that you may still attach the three hoses. In the past it has seemed easier to use the current thermostat and gutting it. I have a 89 Nissan 240sx. 2.4 liter sohc engine. My engine overheated plenty times n I’m sure it’s a blown head gasket. My oil cap has coolant on it an the dip stick.. what are the exact directions ?? I want the best possible results. I dont removing the thermostat and flushing the system. . Also. If I get the 32oz do I use half the bottle.. 16oz would I use it all?? The product with the yellow label will give you best overall results as long as you can remove the thermostat and flush the system prior to use. However, if the thermostat is difficult to remove or you would rather not then you can always use the “Pour N Go”. With the use of either product, be sure to follow the guidelines for the proper amount to use. Based on your capacity, you will be using 16 ounces either way. Yes, we do recommend using the BlueDevil Head Gasket Sealer to help repair your Focus. I have a honda civic that im sure has a head gasket/ warped head problem. (Bubbles in coolant reservoir, overpressurising cooling system). When i did the compression test, i topped off the radiator with cap off the coolant was shot out for the three cylinders. My car overheated before. Does that mean i have a warped head and 3 leaking cylinders? How do use the technique of taking out the spark plug if there are 3 leaking cylinders? Thank you in advance. Thanks for your question about your Civic. It does sound like you’ve got a blown head gasket. Coolant shooting out for 3 of the 4 cylinders during a compression check doesn’t necessarily indicate your head gasket is blown in 3 of the 4 cylinders. If your car will idle with all 4 spark plugs connected we would recommend adding BlueDevil Head Gasket Sealer and following the directions with all 4 spark plugs installed. After you’ve sealed your leak, we would recommend changing your spark plugs and your engine oil. In order to get the benefit of the product, the vehicle would need to be able to idle for a full 50 minutes, without overheating or stalling out. Unfortunately, if the vehicle is unable to start, the head gasket may be a little too far gone for the product to work. I’ve just used the blue devil product for my 2007 Chevy hhr today after I poored in the blue .devil and had the car on for 50 mins it didn’t over .heat at first it had little smoke coming from engine then completely stop after the 50 mins I waited a couple of hours for it to cool then took it for test drive it’s driving better than before but the engine light is still on and also it had some smoke come from out the tail pipe and still smoke coming from engine but not as much smoke or as dark white smoke no smell just a smell of like burning oil in the leak is completely gone but still smokes will the smoking stop or not????? Thank you for asking about your Chevy hhr. We are happy to hear that the BlueDevil Head Gasket Sealer has helped stop your leak. It is fairly typical of the process to still have a little white smoke coming out of the exhaust pipe once the process is complete. It may just be residual water vapors or coolant in the exhaust system that are burning itself out. This shouldn’t persist for more than a couple of days. If you are still having an issue, please contact our technical support line at 888-863-0426 so that we can assist you in obtaining the warranty information. Will pouring the Blue Devil product in my 2007 Chevy optra really help? I’m desperate.. Thank you for asking about your Chevy Optra. As long as the vehicle can maintain idle for a full 50 minutes, without overheating or stalling out, and you are not losing more than about a quart of water/coolant during that 50 minutes, you would be a great candidate for the product. Feel free to contact our technical support line at 888-863-0426 with any other questions. Your product is great! I used the head gasket repair today with amazing results. I have a 2007 Mustang V-6 with 65K mileage. Last year I started to notice a smell of coolant when I parked my car. I also had one severe over heating episode, which I thought was my failure to check the coolant level. Afterwards I was experiencing weekly coolant loss of 1-1.5 pints. I also had fouling of the spark plug and misfiring in the no.1 cylinder and intermittent warning on the check engine light. I went to two different mechanics before I got an opinion that it was a leak in head gasket and occasional leak around the water pump. Not wanting to spend $1,500 – $2,000 I researched a number of do-it-yourself head gasket repairs online. Your product was the only one that fit my mechanic skills, budget, and gasket problem. I followed the instructions and in the first five minutes the check engine light is gone. I ran the engine for an hour and at the end no coolant smell and a smoother sounding engine. This save me a lot of headaches. My 99 Pontiac Montana keep overheating we replaced everything except the intake gaskets or the head gaskets. We had no signs of problems with the gaskets. My husband and I where getting upset about the problem. We heard how great this was. I’m a believer. In a hour and a half our problem was sealed. The sealer found and sealed all of our problem. Engine was normal and we drove form one side of town to the other side. We even had taken it on the highway at 70 miles a hour. Amazing stuff. I just bought your 32oz head gasket sealer and radiator flush. I wanted to know which i should use in my car first. I understand that the flush will do a deep clean which makes me think i should do it last. Thanks in advance. You will want to flush the system first to ensure it is clean and free-flowing prior to the Head Gasket Sealer being added. I bought the pour-N-Go head gasket sealer 16 oz today and before i use it i have some important questions. I have a 2005 jeep 3.7, grand Cherokee. The issue that i have is losing a lot of oil maybe 4 quarters in ten days and a white smoke from the car tail. No overheating or leaks. The mechanical told me it’s a head gasket issue and it might blow your engine any time. So do i need to remove the thermostat or flush the cooling system in my situation. Because the 16 oz bottle instruction dint mention any think about removing the thermostat or flush the cooling system. I hope i get your answer ASAP to go ahead with your magic blue gasket. Our Head Gasket Sealers are specifically designed to stop coolant/antifreeze leaks. We do not have a product that is designed to stop oil leaks coming from in or around the head gaskets. We recommend that you have the vehicle further diagnosed so that you may attack the problem or problems at hand. What are the long term implications with this? How long will it last? If I decide to actually fix the headgasket at a later time, will it cause problems for that? Thank you. BlueDevil creates a permanent seal. BlueDevil will not make any future repairs more difficult. I am going to use the BlueDevil (BD) Head Gasket Sealer on my old truck (86 Ford 150). Head Gasket is leaking coolant. The directions say to leave heater on high but I want to leave the heater off to keep the BD our of the heating coil. Any issue with this? Also plan to flush the coolant system with water after running 50 minutes and letting it set for a day. Is it ok to run longer than 50 minutes? Might run it a second time before flushing and adding coolant. Your directions say that BD can be left in but probably doesn’t do any good after coolant is added anyway. Plan to flush with water. Plan to try your oil leak sealant if the coolant seal stuff works. Although it is not necessary, it would be acceptable to bypass the heater core. It is acceptable to run the vehicle at idle for longer than the recommended 50 minutes; this will not hinder the effectiveness of BlueDevil. Feel free to contact our tech support team at 888-863-0426 with any questions along the way. I have a 2004 Toyota 4-runner and most of the symptoms of a leaking head gasket but without the overheating problem. The problem started when the check engine light came on. I looked at the oil and temp gauge and both were normal. I pulled over and had steam. The overflow tube had popped off the radiator. I removed the radiator and the system was empty. I added the full amount (about 2 gallons) and drove it home and then to the mechanic the next day. They found leaks in the system and replaced the radiator and the hoses. They didn’t replace the thermostat. They said the hoses seem overly firm after the repair and that indicated excessive pressure. The anti-freeze had a place to leak from prior to the repair. But now the system is all new and the pressure has no where to go and the hoses are firm. The temperature gauge is also much lower than it was before and it seems like it takes much longer to get the temp up and the heat working properly. 1. The car runs extremely rough for the first minute or two and then it’s fine. 2. It sometimes bucks as I drive. That is also very intermittent. 3. The check engine lights indicate misfires on cyl 2 and 4. 4. I’m still leaking anti-freeze. That was happening prior to me replacing the radiator and all hoses but its still coming out somewhere. 5. I popped the cap on the radiator after the car had sat idle for 6 hours. The cap opened like a carbonated beverage (pop!) so there was a lot of pressure in there and that doesn’t seem right. 6. My mechanic said that I should top off the anti-freeze and start/run the car with the radiator cap off. If the head gasket was a problem then the anti-freeze would bubble over (mild problem) or act like a volcano (big problem). It didn’t do that at all but there was a tiny bit of anti-freeze flowing out of the opened cap and that may have been a result of me overfilling the system. 7. The thermostat on the dash normally sits around 40% (just below half.) The thermostat rarely makes it to 20% now and that started after the radiator was replaced. If anything, is it running cooler now? 8. The interior heat is inconsistent and not very warm. Also, the vents on the driver side produce much more warm air than on the passenger side but I can’t fathom how that can be related? It may be a totally separate problem. Were all scratching our heads here and I don’t want to spend $3000 to find out my problem was something unrelated to a head gasket. You’ve read all the blogs. Any thoughts on this? Thanks for your question about your 4Runner and thanks for all the information about the problem. Many of your symptoms do sound like you have a blown head gasket. The only other possibility that makes sense is that you are having a flow problem with your coolant making the heat intermittent and causing the misfire on cylinders 2 and 4 which are on the same side of the engine if you have a V6. A lower cost alternative to spending the money to replace the head gasket would be to perform a cooling system flush using BlueDevil Radiator Flush, then use BlueDevil Head Gasket Sealer. The Radiator Flush should remove any blockages or scaling in your cooling system and the Head Gasket Sealer will seal any leaks in your cooling system. You can purchase BlueDevil Radiator Flush here: http://bit.ly/16kvMvd and BlueDevil Head Gasket Sealer here: http://bit.ly/ZtUkim. I have a 02 Chevy impala v6 3.4 this is my first car and I bought the car for 500 a few days ago and I drove a block down the road and alot of white smoke started coming from the tailpipe. So I’m guessing it’s a head gasket problem.so i found a head gasket set and a water pump for ,125for both then I started calling around to see how much it will cost to just take the heads off so I can send to a machine shop to get pressured tested and a valve job.the lowest I’ve found is 600 just for labor.then one of them suggested i try it product.. even though I haven’t had it checked by a mechanic i think it’s a gasket problem.I checked the oil stick and its black so mixing is going on in there. My question is Will your products help me with out having to spend all that money paying someone to take my heads out. Yes, our products are made specifically as an alternate solution to costly repairs. They come into play when a vehicle isn’t worth the fix, the repair isn’t affordable, or the owner of the vehicle simply doesn’t want to sink a lot of money into repairs. The BlueDevil Head Gasket Sealer carries a success rate of just over 90%. The product should work as long as your vehicle can idle for 50 minutes without overheating or stalling out and will not lose more than about 1 quart of water/coolant during the recommended 50 minute run. Will your product work if block is warped ? I believe you are referring to a warped head and the answer is yes, BlueDevil Head Gasket Sealer will stop a leak from a warped or cracked head. My 2007 Suzuki Forenza cannot have the thermostat removed to run the head gasket sealer because the housing and thermostat come in a unit. How can I use your product? Mechanic diagnosed car and said there’s a crack in the head. He recommended your product. I used the white bottle and much of it leaked out after I poured it in. After about 15 minutes of the car idling (honda crv) my thermostat went up to high, and the check engine light lit up. Advice? Information on your guarantee?! It sounds like you may have been losing water too quickly for the BlueDevil to work properly and be able to seal it. Please contact us at 888-863-0426 so that we may assist you in getting the warranty. It sounds like the water is draining into your oil very quickly. You most likely are looking at a blown head gasket. Due to the severity of your leak the only solution may be to visit your mechanic and have the parts replaced. The BlueDevil Pour N Go (white label) will work for both radiator leaks and head gasket leaks. Soo is it warranted that if i use the smaller bottle (white label) i dont have to remove the thermostat?? And it works with any coolant?? Yes, the BlueDevil “Pour N Go” Head Gasket Sealer carries the same warranty. Yes, you can use the BlueDevil Head Gasket Sealer in your 1976 Pontiac Trans Am. Be sure to follow the guidelines for the proper amount to add. Several weeks ago, I started noticing a spike in coolant temps soon after starting my 03 Grand Am (241k miles). The spike would reach the 3/4 mark and then dip below the normal range and eventually settle right where it is supposed to. This all happens in about the first five minutes of driving, after which I could drive for hours without a problem. It got worse, so I took it to the dealer, who diagnosed a blown head gasket and wanted $1600-2400 to fix a car worth maybe half that amount. After their diagnosis, the car would run very rough for a minute after turning it on, but then smooth out. A friend recommended trying a sealant, so I used some Pour-N-Go, which seemed to improved the situation, but the rough starts continue and the heat spikes are returning. I plan to try a second dose of the Pour-N-Go, but wondered if the thermostat could be contributing to my problems. Yes, it is a possibility that the thermostat is contributing to some of the issues. You can definitely retreat the vehicle with a new bottle of BlueDevil “Pour-N-Go” but we recommend that you remove the thermostat and leave it out for the 50 minute idle during the BlueDevil install. After the process is complete you should allow the vehicle to cool down and then re-install a new thermostat. I am certain i have a blown head gasket only concern is on how large it is. Could your product seal a head gasket that is causing my raidiator hoses to swell with steam pressure? When i remove the radiator cap the car instantly begins boiling over. It sounds like the vehicle is getting combustion/exhaust gases blowing into the cooling system and creating pressure. We would still recommend using the BlueDevil Head Gasket Sealer. For best results, you should remove the thermostat and flush the system prior to use. I bought the pour and go to seal the head gasket in my pontiac grand am v6 and i dont have a radiater cap how would i pour it in? It sounds like you may be dealing with more than just a head gasket problem on your vehicle. The BlueDevil Head Gasket Sealer does work well to seal head gaskets but when you have these additional symptoms present along with the head gasket we really recommend having your mechanic address all of the problems. Your mechanic is probably recommending a new motor because the cost on repairing all of the issues is either more expensive or similar to what it costs to replace the motor. I have a 1997 Chevy Caviler Z24 2.4L I Have Had 2 Mechanics Tell Me I Have A Cracked Head Gasket Yet I Dont Have The Leaks, But I Have The Bad Misfire & Some-What Of The White-ish Smoke Comming From The Exhaust. Would Your Product Still Be Of Help? Ive Been Told Its Beacause The Head Gasket Fails Between The Cylinders Which Just Causes The Misfire Not The Leaks. With a blown head gasket there will not always be a visible leak present. 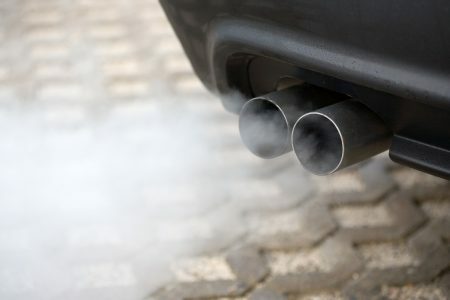 The white smoke coming from the exhaust is a very common symptom when a vehicle has a blown head gasket. Based on the information you have provided, we do recommend using 16 ounces of the BlueDevil Head Gasket Sealer in your Cavalier. 1993 GMC 6.5 turbo diesel. Engine has been gone through and new gaskets. Runs great. As preventative maint. could I add a 16-32 can of blue devil sealer ? Neither of the two BlueDevil Head Gasket Sealers should be used as a preventative maintenance. Please contact our tech support team at 888-863-0426 so that we are able to discuss your vehicle in more detail. Under most circumstances the BlueDevil only needs to be applied one time. However, there are some instances where we do recommend a second application. but as soon as I drove it it would over heat…..so…….did a head gasket replacement had the head checked and rebuilt replaced head gasket new head bolts etc. still overheated not as bad considering I cleaned out the block….. so I got a new radiator no more overheating mind you thermostat was left out since the begining. now it will not even get warm enough to idle down most of the time then head gasket blows again now Im getting alot of exhaust in the radiator and only a little steam out the tail pipe…..Im hoping because its a new radiator and not the original 15 yr old with 115k miles it wont clog when I try your pour and go stuff. I fear because the pressure in the cooling system caused by the exhaust may prevent it from reaching the head…. new water pump was installed when the head job was done……..new head bolts ……..block was checked for warpage surfaces hospital clean etc. next time I would use a factory gasket instead of the “Ev……….n” one I used trying to save some money. It sounds like the vehicle is getting combustion/exhaust gases blowing into the cooling system and creating pressure. To give yourself the best overall chance of BlueDevil working successfully, in addition to the directions, you should remove the spark plug from the cylinder with the leak; this will be the spark plug from the cylinder with the low compression reading. If you are not sure which one that is, you may pull all of the spark plugs and will notice one will have a white-crystal-like substance on it and/or may look dirty; this is the plug you should pull. Leave that plug out for the 50 minute idle in order to relieve the pressure from building up and thus allowing the product to seal properly. I have 2000 Toyota 4runner 3.4L.It started rough then started white smoking and smells like coolant. Check engine light came on with low coolant in radiator.Checked the oil level ,its normal .The mechanic check the code and it says misfire on one.He thinks blown head gasket and suggest to replace motor, any ideas ? Based on the symptoms you have described, it does sounds like you may have a blown head gasket. We recommend using the BlueDevil Head Gasket Sealer; this will seal the leak and stop any coolant loss. So i got a 1999 subaru legacy sus limited 30yr anniversary and it has a cooling problem. I switched out the thermostat and the radiator is new. Flushed out the coolant and replaced it with new coolant. None of this made a difference in my overheating. Ive been told it could be a bad waterpump, pluged heatercore or bad headgasket. the cars can be driven for about 10 mineuts then begins to overheat. The electric ran fans blow but idk where the cooling problem would be. I dont see much white smoke (little to none) but from the research ive done is there will be some type of leak or plugged in the engine due to the previous owner putting red coolant in it (dumbass) where should i start because im thinking possible headgasket or is there a foresure way of knowing. Thanks for your question about your Subaru Legacy. Unfortunately, Subarus are known for having head gasket leaks and it sounds like that is the problem you have. A quick way to check would be to start the car cold with the radiator cap off and check for bubbles in the radiator. That would indicate the presence of exhaust gas in your cooling system confirming your blown head gasket. Most auto parts stores also sell a blown head gasket test kit that can chemically check for exhaust gasses in your coolant. It’s possible that you have a plug in your system somewhere, but usually that comes from not changing your coolant often enough, not using the wrong kind. You can try simply removing the hoses to your heater core and forcing water through them with a garden hose. If you don’t get any flow and get sludge and gunk from the heater core then forcing water through it may help solve your problem. If you do prove you have a blown head gasket, pick up a bottle of BlueDevil Head Gasket Sealer to seal your leak and stop your overheating issues! I have a 2001 Ford Focus. My car over heated and shut down while driving. We replaced the radiator because it was cracked and we thought that was the only issue. Then we tried to start our car and it would crank but not start all the way. The mechanic said the only problem is our head gasket is blown , everything else is fine; water pump , thermostat, etc. so being that I am having trouble starting my car with the blown head gasket with BD work for my car? In order to use BlueDevil effectively, the vehicle will need to be able to start and run at idle for a full 50 minute period. If it is unable to do so then the vehicle may require mechanical repair. However, if you are able to get it to idle for a 50 minute period then we definitely recommend using the BlueDevil Head Gasket Sealer. You will have either fresh antifreeze or water already in the cooling system. Just be sure to leave enough room for the 16 ounces of BlueDevil to be added. Hi, my car starting running hot so I took it in twice and they have not been able to fix it even though they have replaced the thermostat and checked the fans. Mechanic said it might be a bad head gasket. Would this product possibly work even though the car is showing no leaks or loss of coolant? Have they tested for combustion/exhaust gases being present within the cooling system? If they are present you may still use the product but we recommend some additional directions. Feel free to contact our tech support team at 888-863-0426 (8:00 AM – 5:00 PM EST, Mon – Fri) with any questions. I have been smelling a sweet smell and my 4runner has been over heating for months. The mechanic thought it was due to wrong radiator cap. They know I have no money and refused to replace or quote a bypass for the heater core. The overheating is bad so a pastor recommended a mechanic who works out of his home on off days. He tried by passing the heater core but it overheats after driving two miles. It can idle without overheating. He tested for a long time and concluded I need a new engine. Is this past a heat gasket seal? He lives 15 miles away and I had to cool off/add water 5 times. Unfortunately, it sounds like it may be beyond what BlueDevil is intended to fix. Due to the fact the engine is overheating so quickly it would be very difficult to have the engine run at idle for the recommended 50 minute period. It seems to be able to idle in park without overheating. It heats all too quickly driving. I have a 2003 Jeep Gr. Cherokee 4.7 w/140k miles in which a replacement radiator recently ran out of warranty, on a 90 degree day and blew out all the coolant. Engine Instantly started to overheat so I shut it down, left it cool down, poured a gallon of water in and made the last mile home. Got new radiator and replaced coolant. Car does not overheat but engine ran rough so took to Jeep dealer whose diagnosis says # 7 cylinder has bad compression due to blown headgasket & the engine is shot. They could drop in a rebuilt for $4600. Well, I have been driving this car for the last three weeks. At certain rpms one would not notice anything wrong. Under load it runs rough but still has plenty of power. It is not burning any oil, has no water in the oil or oil in the water. No air bubbles in the coolant. Sounds like a job for pour & go?? Thanks for your question about your 2003 Jeep Cherokee. We’re sorry to hear about your blown head gasket, but it does sound like your mechanic is correct. Pour-N-Go is an easy option for you, however for your Jeep we would recommend you go straight for the BlueDevil Head Gasket Sealer. The larger cooling system in your Jeep may require the larger 32oz size. There are a lot of different things you will need to consider before making a final decision. The repairs done are considered major and it is difficult to say whether or not you will be able to rely on the engine long time. It would be illegal to change the mileage on the vehicle. We really can’t advise you one way or another on what should be done at the end of your lease. If you are uncomfortable relying on a this vehicle after having major repairs done then it may be time to move on. Ultimately, you will need to weigh out all of your options to make an educated decision. I have an 2002 Nissan Altima at one point the car overheated and we took it to the mechanic and he supposedly fixed it. A few moths later we saw that there was white smoke coming out the exhaust like crazy. The cars doesn’t heat up no more but it’s the smoke that doesn’t let us drive it. What do you recommend? Thank you for asking about your Nissan Altima. From the sounds of it, you may have a blown head gasket. If you are noticing a loss in coolant/water, we recommend using the BlueDevil Head Gasket Sealer, found here: http://store.gobdp.com/head-gasket-sealer-38386/ . Feel free to contact our technical support line at 888-863-0426 with any other questions. You may use 16 ounces of the BlueDevil Head Gasket Sealer. We have had success sealing leaking/blown head gaskets in various Mercedes models in the past. I have a 2010 Jaguar XF 5.0 with only 65,000 miles and I’m experiencing blown head gasket symptoms. May be a small leak but it’s a big 8cyl engine. Which product will work best? We recommend using the BlueDevil Head Gasket Sealer (32 oz yellow label) for your V8 Jaguar. You will remove your thermostat and perform a cooling system flush prior to adding the product. Feel free to contact our technical support line at 888-863-0426 with any questions. If the vehicle has been diagnosed as having a head gasket leak, then you would be able to use the BlueDevil Head Gasket Sealer. In order to get the benefit of the product, the vehicle would need to be able to idle for a full 50 minutes, without overheating or stalling out, and you shouldn’t be losing more than about one quart of water/coolant. If the vehicle can meet those basic requirements, then it would be a good candidate for the BlueDevil Head Gasket Sealer. After you have completed flushing out the radiator, you will add just water back into the system, leaving just enough room for the recommended amount of product. Then, with the engine cold, you will remove the radiator cap and start the engine, putting the heater on to the Max. You will then begin slowly pouring the recommended amount of the product in through the radiator cap. My 2000 Subaru outback recently started “overheating,” according to the thermostat. However, it isn’t showing any symptoms of actually overheating. When the gauge starts to climb, the hot air from my heater sometimes goes cold. I just had to replace the fuel pump on it, so I’m unable to spring for the cost of a head gasket repair, if that is indeed the problem. So I guess my two questions would be, 1) Does that sound like the symptoms of a blown head gasket, and 2) How temporary a solution is the sealer? Appreciate any help or assistance you can provide. Thank you for asking about your Subaru Outback. Based on your description, you may just have a faulty thermostat, as it doesn’t sound like you are experiencing any of the tell-tale signs of a blown head gasket. You can test your thermostat by putting it in boiling water and checking to see if it is opening at the correct temperature. If it is faulty, you should replace the thermostat and that should solve the overheating issue. If it turns out the thermostat is functioning properly, you may want to bring the vehicle to a certified ASE Mechanic to have a proper diagnosis performed. I have a 2001 F150 XLT 5.4L Triton. I noticed my heater was blowing nothing but cold air so I checked my coolant level and it was low. Took over a gallon of antifreeze. When I started it up and ran it at an idle, the coolant began rising in the recovery tank and then cracked the recovery tank. My upper radiator hose was not hot at all. I have cylinder #1 misfiring, but sometimes it doesn’t misfire. I have not checked the plug yet to see if it has any crystallization. While running my vehicle before overheating I saw white stuff out my tailpipe, but it was also 40 degrees out. I did see that the orange coolant had been used, but to my knowledge my vehicle should not have the orange stuff. I plan to check the thermostat today, maybe that is why my upper hose wasn’t hot, and I do plan to do a flush and fill. Will your products help me in my situation? Thank you. Thanks for your question about your F150. It is possible that you have a blown head gasket, especially since your cooling system got so pressurized, enough to crack the overflow tank, without being extremely hot. Crystallization on your spark plug will help confirm that, but you can also do a pressure test on your cooling system to check for sure. If you do discover a blown head gasket, BlueDevil Head Gasket Sealer (available here: http://store.gobdp.com/head-gasket-sealer-38386/) can seal your leak and get your truck running normally again. 2002 buick rendezvous, I usually heat my car up for 20 mins urging winter. After driving (stop & go) 20-30 mins I get “hot coolant; overheating”warning. I immediately pull ove (engine off for 3-5 mins) & this gives me another 20-30 mins. I smell a sweat Inscent smell and today I noticed my full reservoir has whit foam…should I go with 16oz pour & go? Yes, you may use BlueDevil Pour N Go Head Gasket Sealer for your Buick. It sounds like the vehicle may be getting combustion/exhaust gases blowing into the cooling system and creating pressure. To give yourself the best overall chance of BlueDevil working successfully, in addition to the directions, you should remove the spark plug from the cylinder with the leak; this will be the spark plug from the cylinder with the low compression reading. If you are not sure which one that is, you may pull all of the spark plugs and will notice one will have a white-crystal-like substance on it and/or may look dirty; this is the plug you should pull. Leave that plug out for the 50 minute idle in order to relieve the pressure from building up and thus allowing the product to seal properly. I have a 1999 f150 4×4 with a 5.4 engine. It’s leaking oil from the passenger side head gasket like many others . Will blue devil fix this, if so what do I need to buy ? Thank you for asking about your Ford F-150. Unfortunately, we do not manufacture a product intended to stop oil leaks coming from the head gasket. A hard part repair may be your best option. Thank you for asking about your GMC Suburban. Unfortunately, white smoke coming from the exhaust is a tell-tale sign of a blown head gasket. As long as the vehicle will idle for a full 50 minutes, without overheating or stalling out, and you are not losing more than about a quart of water/coolant during that 50 minutes, we recommend using the BlueDevil Head Gasket Sealer, found here: http://store.gobdp.com/head-gasket-sealer-38386/ . Feel free to contact our technical support team at 888-863-0426 with any questions. My Chevy hhr overheated while I was driving n shut off while I was pulling over. I waited n filled it with antifreeze and water. After it cooled down I cranked it n tried to drive it home. I drove it very slowly n than it overheated again. I pulled over n it shut off. I got it towed home n the thermostat replaced. It didn’t over heat but i drive it for 15 minutes n than it started smoking from the hood left side n the tail pipe. I shut it off n tried to recrank it n immediately it starts smoking. Is this a head gasket problem? Would your product fix it? It does sounds like you may have a head gasket leak or leaks. 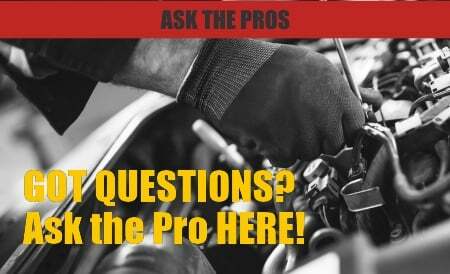 Please contact us at 888-863-0426 so that we may discuss your Chevy in detail. We will then be able to recommend the best BlueDevil Product given all of the symptoms you have seen. We look forward to speaking with you. My 1994 GMC Sierra 1500 idles well, blows out a large amount of white vapor when first started (there is a gap between the pipe and the smoke). It does not smell sweet; it has that nice gas-burning smell. The vapor almost goes away after about 5-6 minutes of idle. The vehicle does not overheat, or even appear to get hot. The vehicle has no power to climb hills, but will idle smoothly all day. Thank you for asking about your GMC Sierra. Are you noticing a loss of water/coolant? Based on your description, it does not sound like you have any of the tell-tale signs of a blown head gasket. The loss of power when climbing up hills could be attributed to a number of different reasons. We recommend having the vehicle looked at by a certified ASE mechanic. Were you losing a lot of water/coolant? Please contact our technical support line at 888-863-0426 so that we can get a better understanding of the vehicle’s condition and be able to make any appropriate recommendations. Thank you for asking about your Dodge Magnum. As long as the vehicle will maintain idle for a full 50 minutes, without overheating or stalling out, and you are not losing more than about a quart of water/coolant during that 50 minute run, you would be a good candidate for the BlueDevil Head Gasket Sealer. Feel free to contact our technical support line at 888-863-0426 with any other questions.